Look, I know Passover food tastes awful (Yes, it does. Don’t send me your grandmother’s recipe for matzo pizza, or whatever, because “It’s soooo good, I eat it year round!” It’s garbage. Stop kidding yourself). 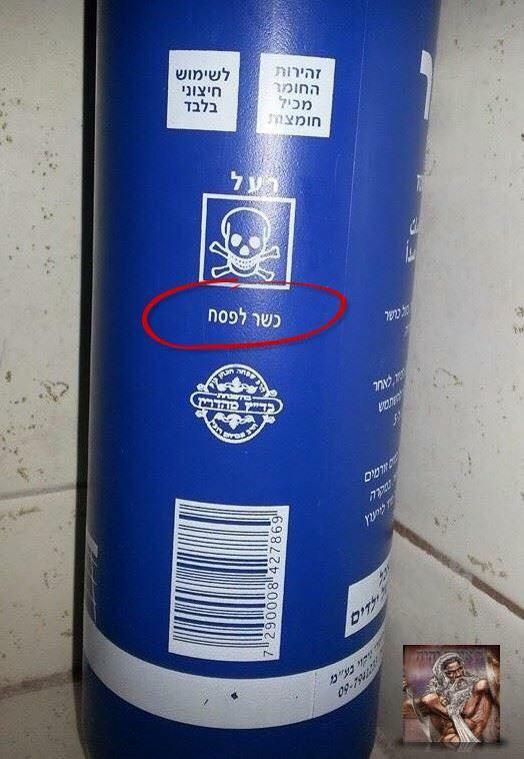 But is Passover food so bad that even our poisons need to be certified?